The Haverford Township Free Library is excited to announce our newest collection available for check-out: mobile wireless hotspots! These devices are available for seven-day checkout which means that now you can take the Internet with you wherever you go. 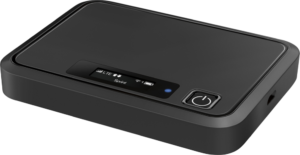 HTFL currently offers fourteen Sprint Mobile Hotspot R850s for adult patrons in good standing to check out at no charge and use at home or on the go. Each device provides unlimited data on the Sprint network. Whether you need access to the internet for work, school, streaming, or just surfing the web, you can get it at the Haverford Township Free Library-- and all you need is a library card! To get started with a mobile hotspot, come and see us at the circulation desk and check one out today. Have questions about how to use the hotspots once you’ve checked it out? Stop by the Reference desk or contact us at 610-446-3082 x201 or reference@haverfordlibrary.org.